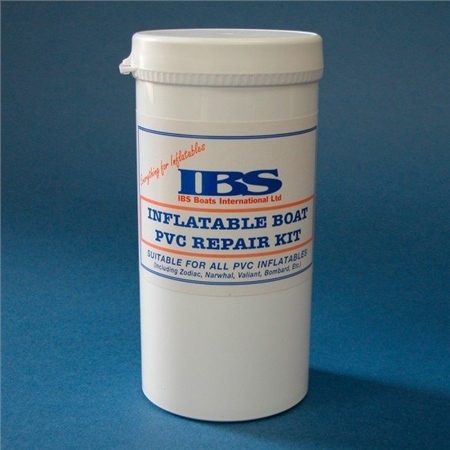 PVC Emergency Repair Kit contains: 37cm x 15cm offcut (various colours available), single part PVC adhesive, brush and instructions in a watertight container. Very effective adhesive however simply not enough of it, especially at this price. Twice as much adhesive as a minimum would have been better value. The PVC sheet was also overly thick - a selection of thicknesses (or even a choice of two) would be good.